Police are searching for a man who robbed a Woodstock bank on Wednesday. Police said he is a white male, about 6 feet tall and around 180 pounds. WOODSTOCK, Ill. (WLS) -- Police said the man who robbed a bank in suburban Woodstock may be the same one who robbed another suburban bank last month. A heist took place at the Fifth Third Bank on Eastwood Drive in Woodstock Wednesday morning. The suspect was caught on security camera. Police said he is a white male, about 6 feet tall and around 180 pounds. 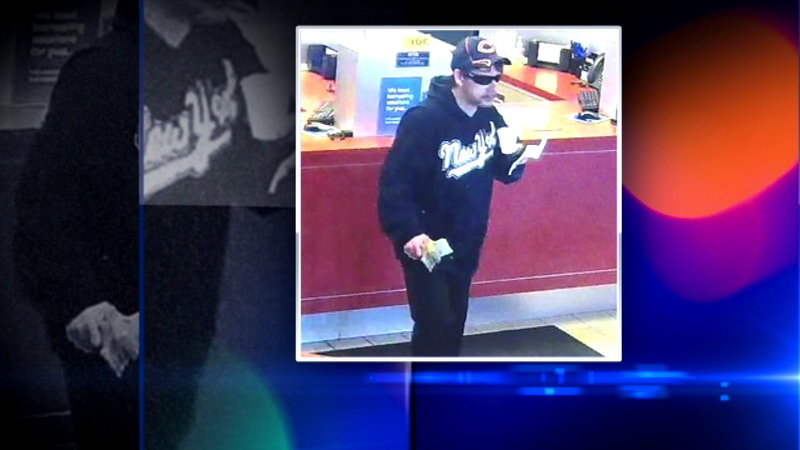 Police believe he is the same man who robbed a bank in Crystal Lake last month. Police are investigating a bank robbery at the Fifth Third Bank on Virginia Street in Crystal Lake.